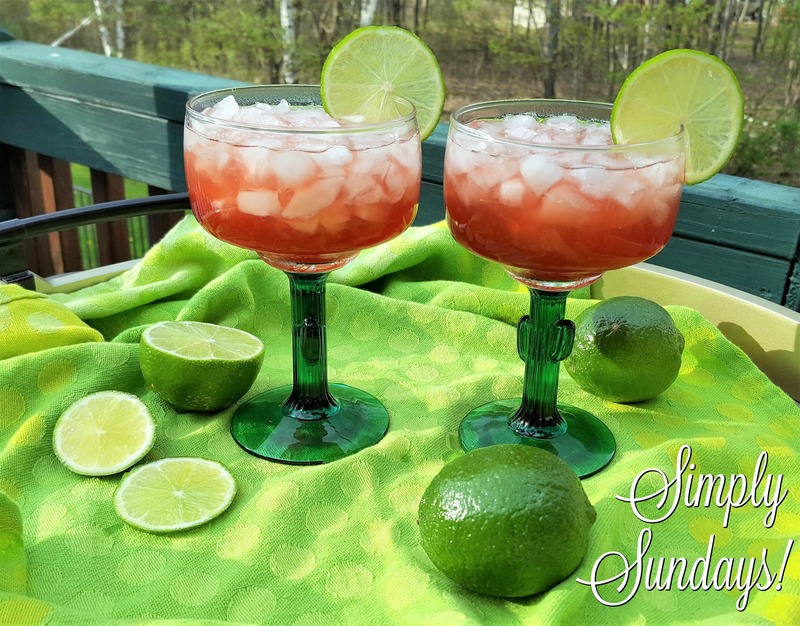 Pomegranate Margarita – Simply Sundays! There are many types of margaritas but hands down, this is our favorite way to enjoy this refreshing lime-y cocktail… with a kick of pomegranate liqueur! Pour over ice, give a stir and enjoy with your favorite Happy Hour friends!